The M4 Sherman evolved from the M3 Medium Tank, which had its main armament in a side sponson mount. The M4 retained much of the previous mechanical design, but put the main 75 mm gun in a fully traversing turret. One feature, a one-axis gyrostabilizer, was not precise enough to allow firing when moving but did help keep the reticle on target, so that when the tank did stop to fire, the gun would be aimed in roughly the right direction. The designers stressed mechanical reliability, ease of production and maintenance, durability, standardization of parts and ammunition in a limited number of variants, and moderate size and weight. These factors, combined with the Sherman’s then-superior armor and armament, outclassed German light and medium tanks fielded in 1939–42. The M4 went on to be produced in large numbers. It spearheaded many offensives by the Western Allies after 1942. When the M4 tank went into combat in North Africa with the British Army at El Alamein in late 1942, it increased the advantage of Allied armor over Axis armor and was superior to the lighter German and Italian tank designs. For this reason, the US Army believed that the M4 would be adequate to win the war, and relatively little pressure was initially exerted for further tank development. Logistical and transport restrictions, such as limitations imposed by roads, ports, and bridges, also complicated the introduction of a more capable but heavier tank. Tank destroyer battalions using vehicles built on the M4 hull and chassis, but with open-topped turrets and more potent high-velocity guns, also entered widespread use in the Allied armies. Even by 1944, most M4 Shermans kept their dual purpose 75 mm gun. By then, the M4 was inferior in firepower and armor to increasing numbers of German heavy tanks, but was able to fight on with the help of numerical superiority and support from growing numbers of fighter-bombers and artillery pieces. Some Shermans were produced with a more capable gun, the 76 mm gun M1, or refitted with an Ordnance QF 17-pounder by the British (the Sherman Firefly). The relative ease of production allowed large numbers of the M4 to be manufactured, and significant investment in tank recovery and repair units allowed disabled vehicles to be repaired and returned to service quickly. These factors combined to give the Allies numerical superiority in most battles, and many infantry divisions were provided with M4s and tank destroyers. After World War II, the Sherman, particularly the many improved and upgraded versions, continued to see combat service in many conflicts around the world, including the UN forces in the Korean War, with Israel in the Arab-Israeli Wars, briefly with South Vietnam in the Vietnam War, and on both sides of the Indo-Pakistani War of 1965. In battle the M4 performs well as an all-rounder; the thick turret front and 10 degrees of gun depression make the tank ideal for taking hull-down positions which protect the thinner hull armour from being penetrated by enemy fire. The sloped front upper glacis, when angled, also provides good protection against enemy fire. An unusual – and useful – difference is that the upper glacis is sloped at 56 degrees rather than the standard 45 degrees, making it more of a threat and more powerful due to improving the chances of a round ricochet. The only downfall may be the 2 crew member position in the front that protrudes out to form a flat surface, but both are covered with an additional 20 mm plate. The reasonable mobility of the Sherman makes flanking a viable tactic. The main weakness of the M4 is the side armour – not only is it vertical and thin, but behind it most of the ammunition is stowed. The tall silhouette of the tank also makes finding suitable cover difficult. Overall, the M4 Sherman can be considered as an armoured jack-of-all trades – it will serve a tanker well, however it will not excel in any particular role. The hull’s sloping glacis is at 56 degrees, as usual with the early model of M4 Shermans. The model is a “small hatch” variant as seen with the parallel hatch shape with the hull. This configuration also caused the hull to protrude with the hatch for the driver and assistant driver, resulting in the interruptions in the slope that compromises the sloped armour overall effectiveness. To mitigate this problem, armour plates are welded in front of the interruptions for additional protection. Aside from this note, some other features on the front glacis are the bundled desert-coloured jerry cans in the driver’s area and the road wheel right on the transmission cover. On the side hull, one distinctive feature of the M4 Sherman was the added appliqué over the sponson ammunition area. While this does provide minute protection, they also serve as highlights for the enemy to aim for an ammo rack destruction. The 75 mm cast turret, designated D50878, was one produced in early 1943. The early M34A1 gun mount design added onto the tank as well as an appliqué “cheek” in front of the gunner, as the redesign of the turret and room for the power traverse caused the armour in front of the gunner to be thinner than the rest of the turret. The M34A1 gun mount is noted as early due to the presence of lifting rings on the top of the gun mount as well as mounting bolts on the sides, both that are eliminated in the later model. A curious note for keen eyes is the lack of a loader hatch on the turret top, a feature not introduced until productions in late 1943. Another note is the pistol port on the left rear side of the turret. On top of the commander’s cupola is the distinctive .50 cal M2 Browning machine gun that is commonly seen on American vehicles. The M4 medium’s use of the Continental R975 radial engine results in a distinctive engine deck as well. It has a protruding hood over the air intake on top, followed by a relatively flat top all the way to the rear. Besides the hooded air intake on both sides within the shielded wall are filler ports for the radiators. Outside of the wall are two more filler ports for the fuel tanks on both sides. On the very rear, the large engine doors are visible, featuring early door hinges used as early as the M3 medium. On both sides of the door, engine filters are also present. Another way to play the M4 Sherman is to tap into its traditional cavalry role, its mobility. The M4 Sherman is a great flanker as it is fast enough to get the jump on the enemy’s side. Defeat the enemy at their weak front lines or go around the entire enemy force. Once in position at their sides or rear, ambush them. Ideally, the enemy should be too busy focusing on allies attacking in the front to notice the M4 instantly. Take out the weaker light or medium tanks, the 75 mm gun is not very ideal against heavy tanks like the KV-1 so take out its friends to allow allies more room to outmaneuver the KV tank. An organized attack will increase the M4 chances on the battlefield and success. A vehicle that the M4 Sherman will have trouble against is the KV-1. While the L-11 is underpowered, the ZiS-5 is potent enough to punch through the Sherman’s front, and the Sherman is unable to penetrate the KV-1’s thick frontal armour. If this heavy tanks is encountered, try to shoot it in its sides and rear, where its armour is thinner and unsloped, though it will still have to be at a close range to penetrate the armour. In addition, shots to the sides will most likely hit fuel tanks or ammunition storage, causing a fire or ammunition detonation and at best, time to reassess the situation. Another historical nemesis of the Sherman, and another big threat. The StuG III packs the same punch as the Panzer IV line with its long barrel 75mm gun, whilst losing the turret, which turns out to be both an advantage and a disadvantage. Lacking a turret means that it will have to traverse the whole vehicle to target an enemy, but it also means that it has a lower profile. The StuG’s armour profile is also more complex than the Panzer IV, with less flat areas. Certain areas are sloped and very bouncy. Luckily, there is a big weak spot. There are two flat plates on the front of the hull. The flat plate on the right is the drivers port. Shoot that and you are able to kill the driver, gunner and loader in one go. This is a very efficient way to destroy this vehicle. With the F variant you can use APCBC to instantly one shot this vehicle. With the G variant it is more reliable to use AP at ranges over 500m to ensure penetration. 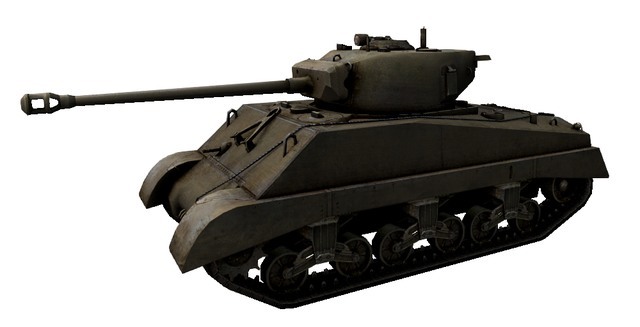 The M4 Sherman is often ridiculed for its rather controversial combat history in World War II, but it is wrong to assume the M4 Sherman is not a threat on the War Thunder battlefield. The 75 mm M3 gun packs quite a punch against its contemporaries, the armour has the potential to bounce most shells, and its mobility is top notch on a large battlefield. The best way to deal with the M4 Sherman is a high-velocity gun, like that of the long 75 mm guns on the later Panzer IV variants. These guns can penetrate the heavily sloping front armour like knife through butter. In the case that a lower caliber weapon has to deal with the M4 Sherman from the front, aim for weak points like the protruding hatches in the front sloping armour, or even the crest of the transmission housing, where the slope is minimum in both areas. The turret has a very robust construction so if there is no faith in penetrating through the front hull easily, don’t bother trying to penetrate the turret from the front. If a shot can be made to the M4 Sherman’s sides, send it towards the front half of the tank where it would either cripple the crew or ignite one of the ammunition racks strewn all over the internals. The vehicle universally known as the “Jeep” is more than a simple military vehicle. It has all the characteristics of a mechanized legend, with few competitors worldwide, except, perhaps, for the German Volkswagen Beetle and its Kübelwagen derivatice. In 1991 it was labelled an “International Historic Mechanical Engineering Landmark” by the American Society of Mechanical Engineers. In postwar years, the Jeep inspired the civilian 4×4 concept, and was copied all around the world, with nearly a million built, by 1968, in the USA alone. 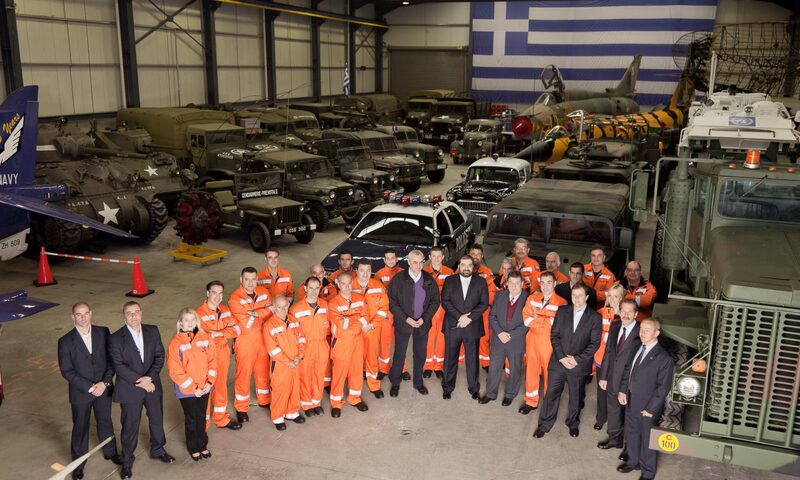 The bids had to be delivered to the Army’s Ordnance Technical Committee in only ten days (the 22nd of June). Moreover, the urge was so great that the companies had to present their first prototype within 49 days, and be ready to deliver 70 more pre-series test vehicles in 75 days. The specifications asked for a four-wheel drive, 75 in (1.9 m) wheelbase/ 47 in (1.2 m) track vehicle, with a crew of three, 300 kg (660 lbs) payload, a folding windshield, and a 85 ft/lbs (115 J) torque-capable engine. Moreover, it had to be kept within the strict limit of 1,300 lbs (590 kg). Needless to say, the combination of such demands within such a short time was deemed impossible and declined by all companies but two: Willys-Overland & American Bantam. Indeed, as daunting as it was, the prospect of earning a huge army contract motivated Roy Evans, who was the head of American Bantam since 1935. He had previously saved the company from bankruptcy. In 1940, the prospects were still quite meager for the small company. He contacted an experienced designer, Karl Probst, and finally answered the bid, within the time frame, with the “Blitz Buggy”, after an exhausting day-and-night technical and mechanical marathon. Willys-Overland was the lowest bidder (promising $748.74 per unit), but was found unable to guarantee the pilot and test models on time. Therefore, Bantam was chosen at first by the Army commission, which tested the “Blitz Buggy” at Camp Holabird, Maryland, on 23rd September 1940. Bantam also delivered the promised seventy BRC-60s for extensive tests. However, the financial and technical aspects of massive wartime production were something the commission could not ignore. Soon, Ford and Willys were both asked to deliver their prototypes anyway (receiving Bantam’s original blueprints, freshly acquired by the army). Other tests were performed at the same location with the three vehicles in November. Under pressure of the hierarchy, and finding that the three models (Willys Quad, Ford Pygmy and the new Bantam BRC 60) were strongly similar, the commission eventually awarded a 1500-units contract to each company, while the weight limits were raised to a more reasonable 2,160 lbs (980 kg). While all three companies started production, and the first models arrived for testing in the US Army, the commission still had to decide to give the mass-production contract to a single company. 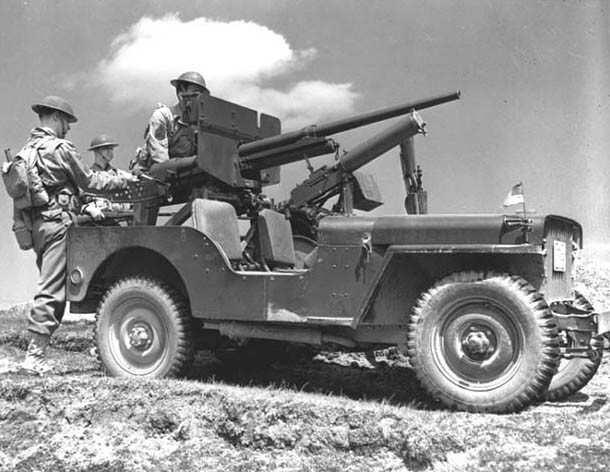 Willys-Overland won the contract, mostly because the Go-Devil engine gave by far the most impressive performances, as stated in numerous field reports. The cost was also a concern, as well as a lower silhouette. The three were open-top vehicles, although a tarpaulin could be fitted to the windshield, held in place by two folding tender bars over the cargo bay. This cargo bay comprised a rear seating bank, and there were two front bucket seats. The suspensions were independent, but leaf-sprung. The cargo bay covered the rear wheels, while the front ones had mudguards of different shapes, like did the side openings used to access the driver compartment. For better rigidity and mass production simplification, there were no doors. The same reasoning was applied to the front, which had a flat radiator grille, which also covered the main headlights. All these points could help distinguish between the factory models. The Jeep also received 6 x 16 tires, a spare wheel and gas jerrycan at the rear, provisions for trailer lights, but also spark interference suppression, blackout light system (which could be hinged up to illuminate the engine compartment by night), as well as sealed spring shackles. Most also received folding top bows, used to hold in place a waterproof canvas with plastic windows, usually stored in a dedicated compartment. It was attached to the top windshield bar. The hull also received exterior handles for manual extrication of muddy terrain. There were also large bumperettes. The instrument panel was military, with black faced oil pressure, ammeter, fuel level, water temperature and speedometer gauges. On the original Bantam, differential and transfer case levers were found at the left of the transmission lever. In production models, these were placed at the right. A sturdy pintle mount base was also welded on the floor, just between the two front bucket seats, which could handle any kind of ordnance machine guns, and even a twin bazooka mount. The standard pintle mount was capable of a near-vertical elevation for AA fire. This gave the Jeeps fitted with M1920 cal.50 (12.7 mm) anti-aircraft capabilities at company level. The original stamped and welded roadwheels were also gradually replaced by bolted combat wheels, easier to replace. The Willys Quad was very similar in dimensions and features to the others, but completely outperformed them in one area. The Go-Devil engine developed by Delmar “Barney” Roos, giving 60 horsepower, 105 foot-pounds of torque, compared to Bantam 83 and Ford 85. The “Quad” was refined and simplified, ending as the first production version, Wyllis MA. A total of 16,000 vehicles had to be supplied to the army, starting in June 1941. “MA” means “Military”, model “A”. Eventually, Willys would deliver 1553 MA models until the end of 1941. In 1942 the production was shifted to the simplified MB. 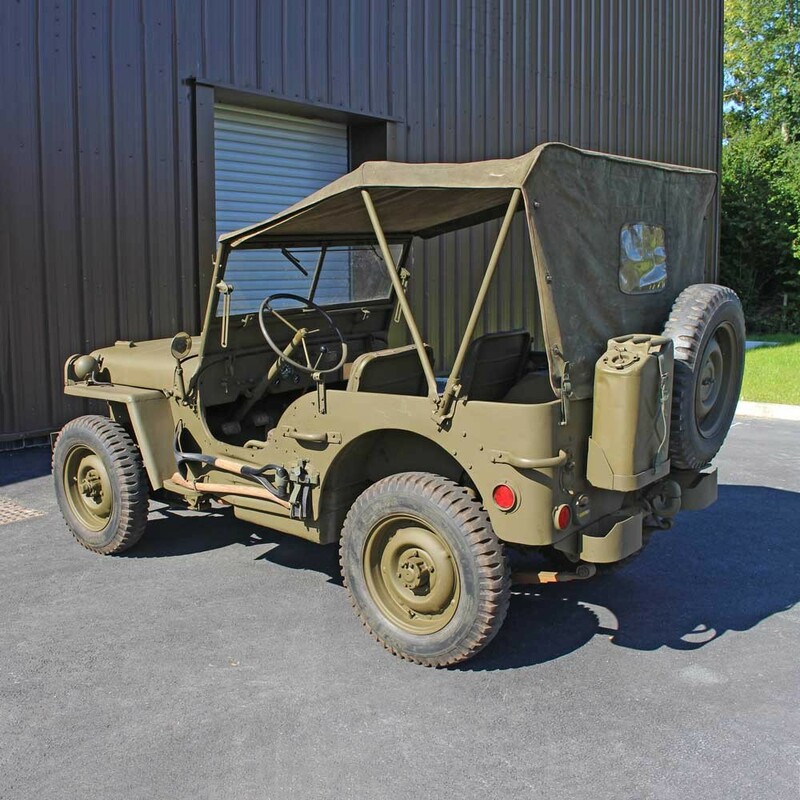 The Willys MB was the mass-production version, modified according to army field operation reports and simplifications in design. The most obvious change was the front radiator grille. It was, for the 25,000 initial deliveries, a welded flat iron “slat”, later replaced by the familiar and simpler stamped, slotted steel grille, originally a Ford design. According to factory designation, this model was renamed “B” (MB). 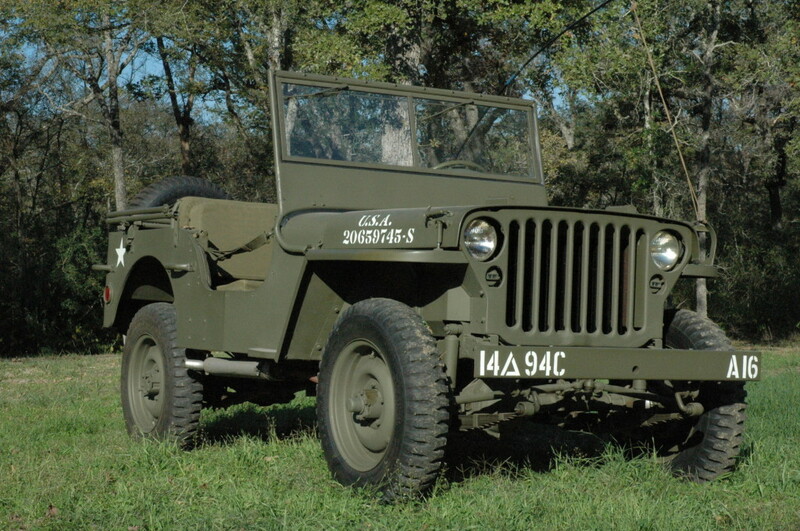 Eventually, Willys will produce 361,339 Jeeps until the end of the war, including 25,808 of the slat radiator grille model, and 335,531 with the stamped steel grille. The MB retained the MA windshield design for some time, before swapping to a new model. By October 1941, it was already clear that Willys-Overland couldn’t keep the pace of deliveries, and Ford was contacted. Ford delivered 280,000 Ford GPs, alongside an amphibious model, the GPA. 4456 GPs derived from the Ford Pygmy were built in 1941, followed by 277,896 improved GPWs, derived from the Willys design. GPW means “Government”, “P” being the usual factory letter for passenger cars with a 80 inch wheelbase, and “W” to signify it was a Willys licensed design. Since regular soldiers preferred the Willys model, many Ford GPWs were part of the Lend-Lease program. No less than 15,000 of these were delivered to the Soviets. At least several theories exist, but anyway, the original army designation was too long to be used in everyday soldier talk. It was perhaps the bastardization of “General Purpose”, “GP”. Anyway, it started as a nickname and had a life of itself, surviving the original manufacturers. On military test bases, mechanics usually called untested models “Jeep”. When the first preseries vehicles arrived in garrison, the impression was such that common soldiers started to use the nickname in reference to “Eugene the Jeep”, Popeye’s lightning fast and resourceful pet companion, from the popular comic strip created by E. C. Segar in 1936. 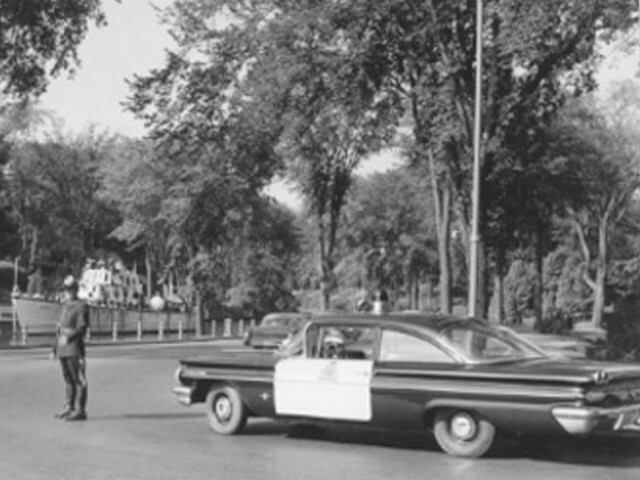 Later on, a press demonstration was organized at the marches of the capitol by Willys Overland, and the test driver, Irving “Red” Haussmann, hearing soldiers repeatedly giving the vehicle this nickname at Camp Holabird, also used it when interviewed by the Washington Daily News. It spread like a bonfire. The incredible versatility of this vehicle, deeply rooted in the Army’s original specifications, made it the perfect go-anywhere, do-anything of all infantry divisions and most services of the Army. It was everywhere and used for any conceivable task, often transformed in the field. Since regulations and “kits” were largely distributed among units by the Army, some Jeeps ended with several configurations during their active life, which spanned -for some models- nearly forty years before joining the civilian market. Such was the reliability and sturdiness of the package. 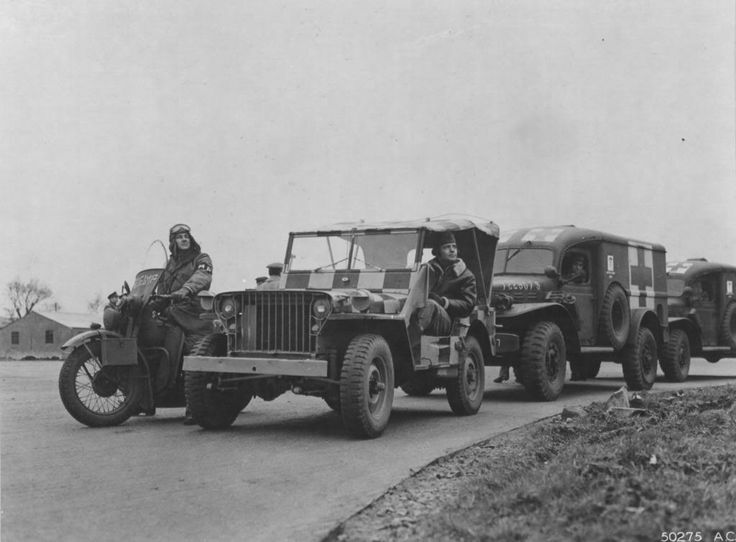 As delivered, most Jeeps were serviceable for this task, without armament. They could accommodate three passengers, plus the driver. The most frequent combination encountered in the field. They were fitted with medium-range radios, and armed with the M1919 air-cooled Browning placed on the central pintle mount (fired by a standing gunner), but in some occasions, a heavier M1917A1 liquid-cooled was placed above the engine hood and fired by the co-driver. The M1920 often replaced the M1919 for added firepower. Usually the crew was two or three, the spare seat being utilized for ammo racks and gasoline jerrycans, allowing extra range. 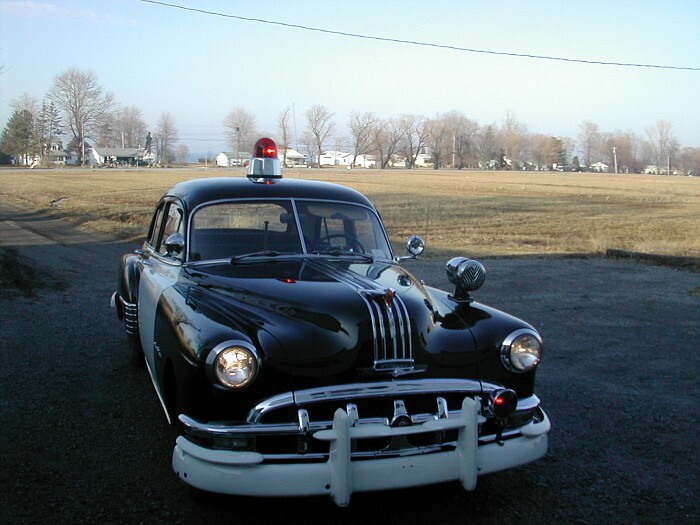 In practice, a large blackout headlamp was also mounted on the left front fender. The speed, small size and off-road capabilities of the Jeep made it an excellent “tank killer” when acting as a “skirmisher” at short range. In general, a specially tailored twin-bazooka encasing was fitted on the central pintle mount. It was not standard practice however. A recoilless gun was also tried after the war. In reconnaissance operations, the Jeep proved fast, but clearly unprotected. This led to field adaptation of armored plates and, after some time, formulated and officialized as the “1/4 ton 4×4 armored truck”. This was an attempt by the army to set regulations of field modifications, consisting of adding a kind of “armored box” made of three plates (actually a single plate folded in three) protecting the front and sides of the driver compartment, with two small sight openings. The front plate replaced the windshield. The protection was sufficient against small arms fire. It could be said that the Jeep saved countless GI lives on the frontline. Many were hastily converted on the field, but after some time, the regulations, again, dictated a “kit” to be fitted. In this configuration, the Jeep carried three stretchers on a welded frame, held in position in the cabin, and overhanging by 1 meter to the front. These special vehicles were used by HQ auxiliary services, using a twenty foot tall meteo antenna with wind, pressure and humidity receptors, and a long range radio and generator which occupied the cargo bay. Although most Jeeps received medium and short range radios, for long range advanced patrols, the cargo bay received a long range radio and generator. Like the weather vehicle, it was unarmed, except for the small arms of the driver and radio operator. 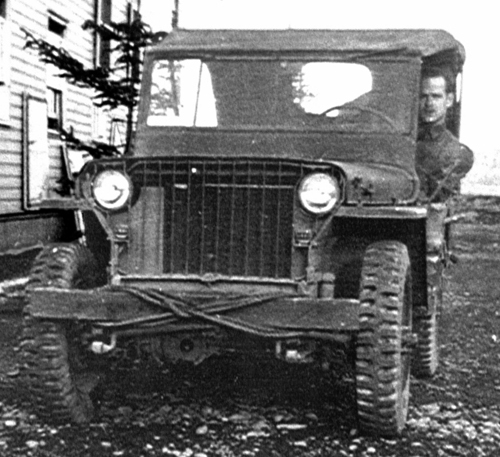 Jeeps were fitted with a hook for a trailer, the ordnance two-wheeled “Trailer, 1/4-ton, 2W, cargo, Amphibian”, which had a splayed cross-section, and a tarpaulin. The main models were the K38 and K-38A, used by the US Army Signal Corps. The postwar models were the M100 and M416 trailers. The K38 could be distinguished by the use of curved mudguards. As a tractor, the usual loads consisted in the US M2 60 mm (2.36 in) or M1 81 mm (3.19 in) mortars, the Howitzer, Pack, 75 mm (2.95 in) M1 on Carriage M1, and the standard 37 mm (1.46 in) Gun M3 on Carriage M4. This was an amphibious version of the Jeep, designed by Ford in 1942, somewhat fueled by the success of the DUKW. It was also called the “Seep” (contraction of “Sea” and “Jeep”), and was in fact a Jeep wrapped by a waterproof hull, overhanging front and rear. It was rushed in production in 1942 and criticized for its shortcomings, namely a low freeboard, which proved highly problematic, combined with a much heavier weight than the original Jeep (3520 vs 2640 lbs/1596 vs 1140 kg). It was unable to carry a significant cargo load and therefore was mostly used as personnel carrier. It was often found that the vehicle could simply sink in shallow waters, if there were any waves, and it was slow, anemic and unwieldy on land. The crews simply despised this model. Eventually, most were shipped to the USSR via Lend-Lease, and the production was stopped in March 1943 after 12,778 vehicles had been delivered. About 144 Jeeps were provided to every infantry regiment in the U.S. Army, so it was the most currently available vehicle. This explains why it was used for so many tasks and so extensively, marking a deep and durable imprint on simple soldiers. Since it was involved in every possible operations performed by the US Army and Marines in Europe, Africa and the Pacific, it would be pointless to detail specific assignations. It was used as personnel carrier, staff transportation, medevac, liaison, reconnaissance, patrol, spearheading advanced columns or deep into enemy territory. It should be noted also that shortly after WW2 started, a stretched version of the Jeep was envisioned, to carry more personal and payload, but the project was eventually cancelled due to the large availability of the Dodge C51 and Dodge T214. It was used as light artillery tractor, ammo, water, food, fuel supply vehicle, mortar tractor, infantry support vehicle and even fast antitank vehicle, armored and equipped with bazookas. 30% of the production, mostly Ford GPAs, were turned to the Lend-Lease effort, largely distributed among British & Commonwealth, Free French, Free Polish forces and the Soviets, which ultimately derived a vehicle from it, the GAZ-67B. The production of this Soviet version started in September 23, 1943, and lasted until 1953, after 92,843 had been delivered. One of the most thrilling uses of the Jeep, was performed by British and Allied LRDG units, “Long Range Desert Group” in North Africa. 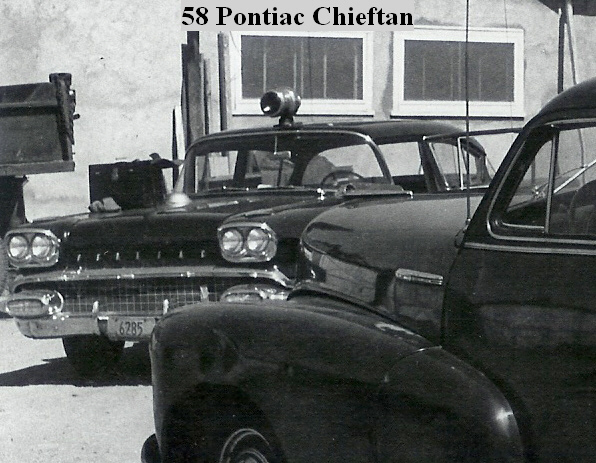 Often paired with Chevrolet WB trucks, they were heavily armed and received a lot of extra fuel. Their task was to navigate deep and far into enemy territory, gathering intelligence and operating covert reconnaissance. But they also hit depots, camps or even airbases, sometimes at night or dawn, striking hard and fast, and creating havoc in rear line sectors reputedly “quiet”, and therefore weakly defended. They made such an impression on the Italians in particular (which called it the “Pattuglia Fantasma” or “Ghost Patrol”) that they developed a special vehicle, the AS-42 Sahariana, derived from the AB-41 armored car for the same tasks and missions. The Willys M38 was the immediate postwar continuation of the original Jeep, also known as the Willys MC. Produced to 61,423 units from 1950 to 1952, and replaced by the M38A1/Willys MD (1952-57 and 101,488 units), Willys M606 in 1954-64 (6500), and the M606 until 1968 with 155,500 vehicles. So that, in 1970, when a replacement was first sought, the “Jeep” production culminated to a staggering 972,830 vehicles -almost a million. It was also largely produced under licence during the postwar by many NATO and non-aligned countries, many of which are still in use. A true replacement was to be the M-151 MUTT (M151 Truck, Utility, 1/4-Ton, 4×4), of which eventually 100,000 (1959–1982) were built by the Ford Motor Co. However due to its tendency to roll-over easily, it has been never popular. It was replaced in the eighties by the Humvee. Its civil career was also brilliant, as the discharged GI’s started buying surplus vehicles at such a rate that Willys sold thousands more of the “CJ”, the MB civilian version. There was, for some time, a brand battle around the name of “Jeep”, that eventually Willys inherited after Bantam went bankrupt in 1955. “Jeep” has, in the meantime, became a standalone brand and inspired Land Rover, Toyota, Nissan, Mitsubishi, Suzuki to produce off-road vehicles, thus leading to the actual branch of SUVs. 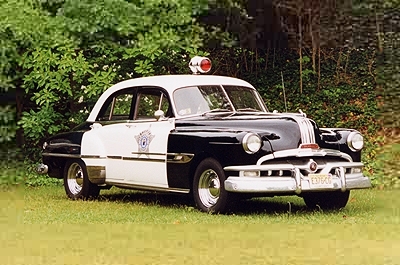 While never as popular as their Ford or Plymouth counterparts, quite a few police departments around the USA did use Pontiacs as their patrol vehicles of choice. While most were full size models, during the 1970’s the LeMans also became a popular Pontiac police cruiser. 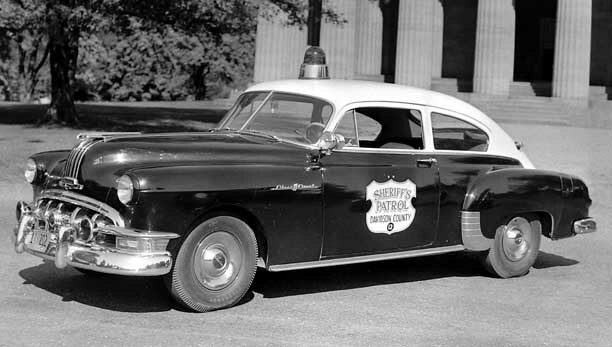 Some deparments even used Trans Ams for traffic duty.